The Oakville Art Society is a firm believer the arts should not be a realm exclusive to the privileged and should be accessible to everyone in a community. It is because of this belief the local charitable arts organization has been putting on its Community Outreach Arts Program (COAP). “It comes from a deep knowledge of how important the arts are for people — there shouldn’t be financial or mental health barriers, or whatever there may be — everybody can benefit from them (the arts) and enjoy them and in fact, they can be life-enhancing for a lot of people,” said Carolyn Crosby, OAS president, who noted the local art society created the program as a way to give back to the Oakville community. John Bkila, Oakville Beaver. In early 2014, in order to celebrate the Oakville Art Society upcoming 50th anniversary, we launched a new initiative, the OAS Community Outreach Art Program (COAP). The goal of this program was to give back to community, and promote engagement in visual arts for everyone. This initiative provides free art classes with professional art instructors and materials. It was developed to form partnerships between the OAS and various Halton charitable organizations. 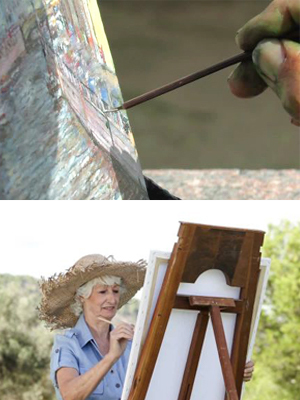 Provide a variety of free art classes. These classes may include drawing, painting, mixed media, and collage. To support creativity by providing free studio space, artist instructors, studio space and all materials. Help promote newcomers and their work in order to establish an artistic presence within the community and beyond. An annual art exhibit with an opening reception to showcase the talents of all the groups. Provide support in the form of scholarships or bursaries to graduating high school students registered to attend a college or university program in visual arts who have financial needs and meet all OAS scholarship criteria. We began by partnering with: SOAAR (program for young adults/adolescents with autism and developmental disabilities) Halton Women’s Shelter, Big Brothers Big Sisters, Nelson Youth Center (high functioning autism, learning disabilities, ADHD, Halton Newcomers Strategy and Halton Family Services. and individuals involved truly appreciate and enjoy the art experiences. Our goal is to sustain and expand this program for years to come with the funds raised by donations. together we can make such a difference! The Oakville Art Society is a charitable not-for-profit organization. Please note that our instructors are artist/instructors. The instructor provides art for fun. They have no art therapy experience nor are they trained in working with disabilities. 9. Do you have any supplies ( paints, brushes, canvases)on hand to be used? 10. Can you provide old magazines that can be cut up? 11. Does your group enjoy art using tactile mediums?- Sponge stickers, air dry clay, tissue etc. 13. We have found that 1 to 1 ½ hours works best with most groups. Would this time frame work for you? 14. Do you prefer classes at your location? We do have studio space at 560 Bronte Road. We do take photos of art and students to promote COAP. These photos are posted on our social media pages. 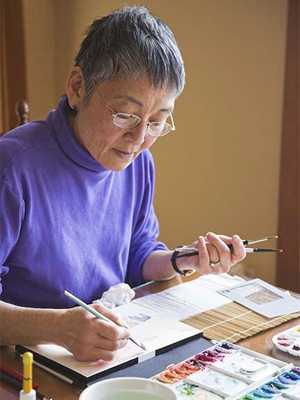 Community Arts Programs (CAP) is an arts program which serves to engage senior participants with a great variety of diverse fine art projects and experiences. 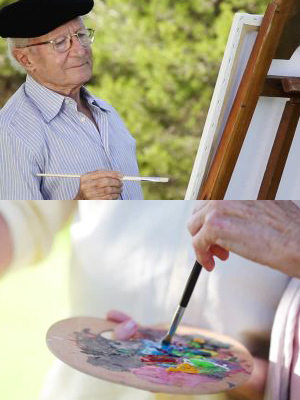 Our professional artist/instructors emphasize creative self-expression and they inspire seniors to discover and explore the creative process as they share their life experiences through art.